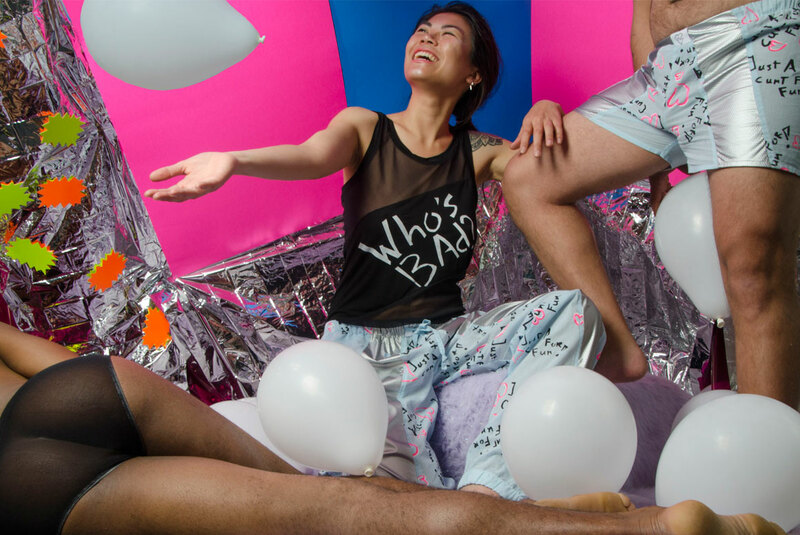 Fundies is a underwear brand for funny men, founded in 2016. 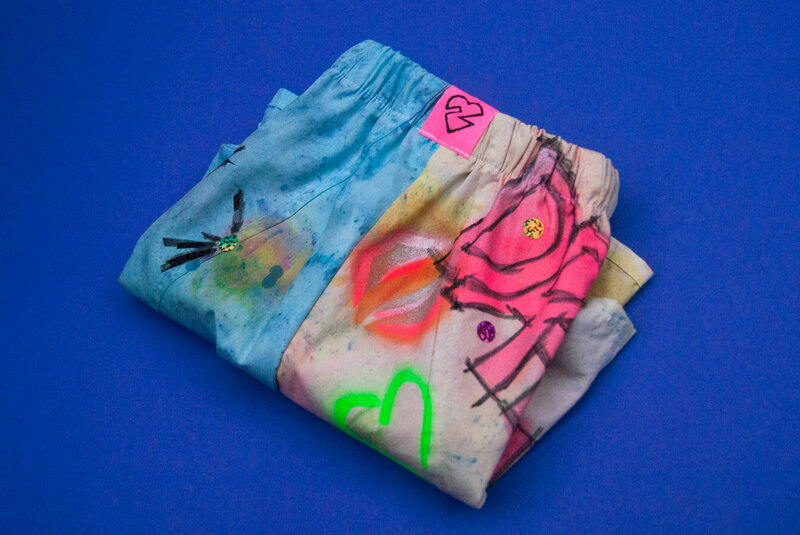 The brand makes handmade prints, and produces underwear in a small edition. For the brand we designed the identity, packaging and a glittering businesscard. 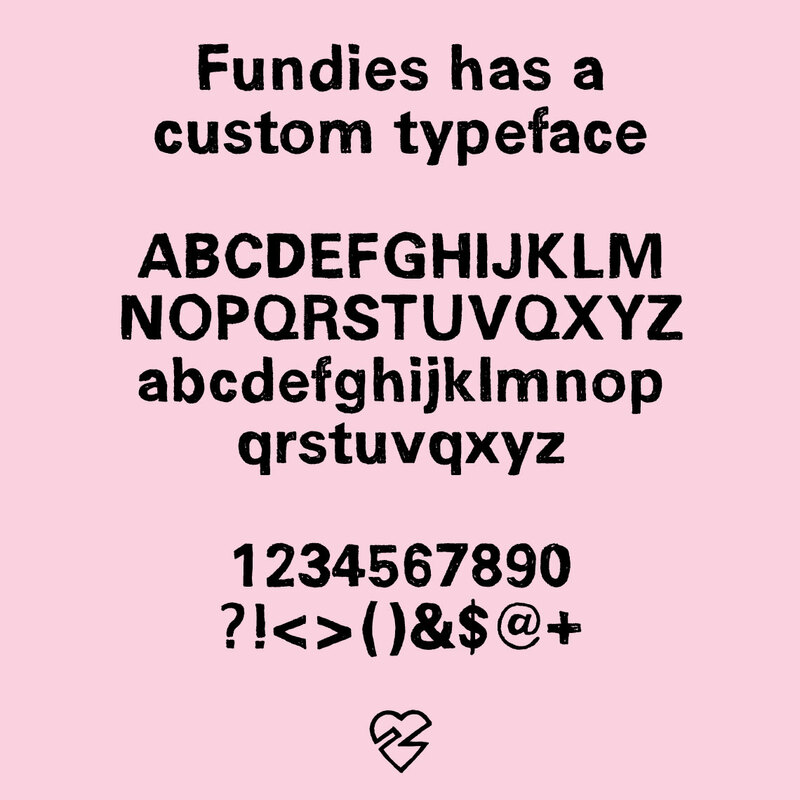 All products at Fundies are handmade. 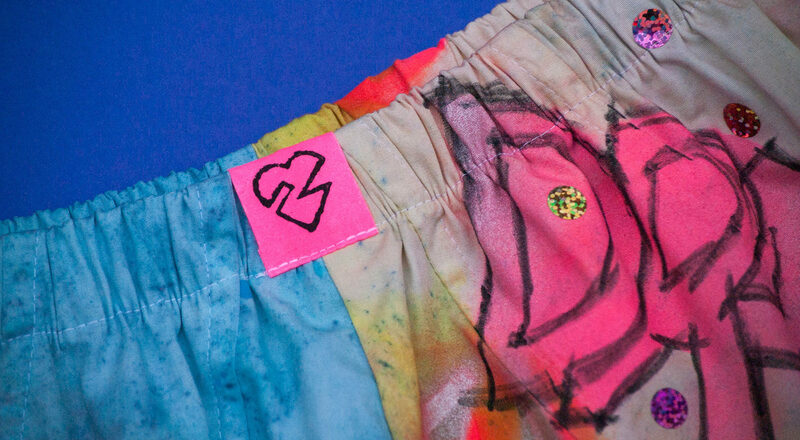 The underwear is sewn manually, and the fabrics are silkscreened or painted by hand. In the identity, we choose to give the identity a bold and handmade appearance. We made a custom typeface, that is used in the whole identity, what gives the brand a bold and handmake look. Custom made font, identity, labels, packaging, business card, letterpaper. The business card is made with a special technique: they are transparant and have holographic shreds in it!